Today I am hopping along once again with the Glitter Queens Monthly Blog Hop 😍 Our theme this month is "Home For The Holidays" and we were given the choice of focusing on either Thanksgiving or Christmas. 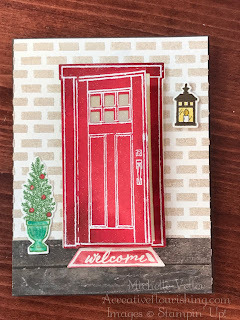 For todays card, I decided to go along with a Thanksgiving theme using the At Home With You Stamp set. 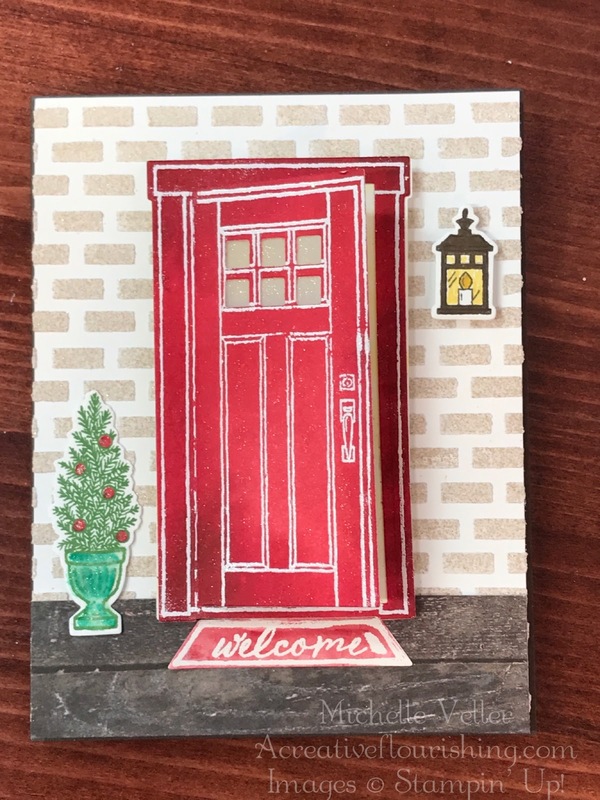 I had so much fun coloring in this card using the Stampin' Blends that Stampin" UP! released on November 1st 😍 Let me just say, they are soooooooo FUN to play with!!! I'm still getting a feel for them but I absolutely LOVE the way this card turned out! What do you think? Not to bad, huh? Here is a closer view where you can see a little more detail. 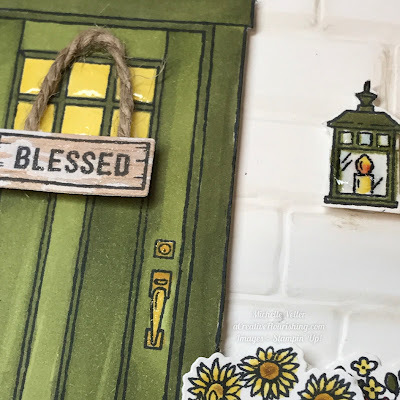 I have my faux glass accents on the door window as well as the lantern. I just used my fine tip glue pen to add a touch of gloss which really gives you a special effect with minimal effort. I also distressed the bricks with a little wash of crumb cake ink using my beloved aqua painter.... 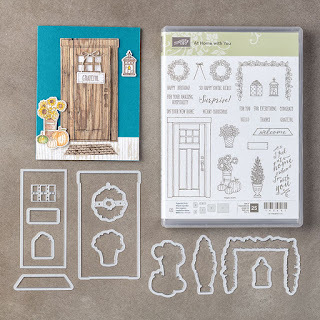 I just love adding the little details to my cards! The At Home With You Bundle is so versatile and since I adore it so much, I actually have a 2nd card to share with you today. Really, it's just too fun a set to put away so sometimes we just gotta play!!!! It was great to let my inner artist out as I played around with my embossing paste and a super fun watercoloring technique using Ink and a clear block stamp. I just love it when a technique is super easy and gives a dramatic effect, don't you!? Thank you so much for joining me today! Up next on our hop is Debi so be sure to check her out next and don't forget to keep hopping along all the way through the list because the Glitter Queens' have some really great & creative ideas to share with you!